Where do you see yourself in the future? What are you doing? Immersing yourself in a second career? Mentoring children in the community? Enrolling in college courses? No matter what you’re doing, you envision yourself living an active, independent life. And for some, that may mean avoiding many retirement communities. It’s not that you think all retirement communities are bad, but maybe some places you’ve visited seem to lack purpose and energy. They seem to say, “Sit down and relax. Pass the time quietly.” And you are simply not willing to slow down. Why should you? With more than 85 resident-driven committees, residents are very much involved with Kendal at Oberlin’s governance and day-to-day activities. From fitness, health and nutrition to lifelong learning and scheduling musical events, residents have input regarding just about every aspect of life in the community. For Kendal at Oberlin residents, ending a career does not mean ending work to help others. In fact, serving others is a large part of Quaker principles and practices on which Kendal at Oberlin and The Kendal Corporation was established. Residents, staff, and the Board of Directors offer their time, money and talent by being involved in more than 80 nonprofit agencies in Ohio and beyond. 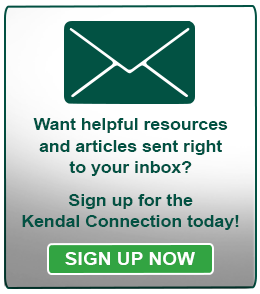 In 2014, residents alone tallied close to 45,000 hours of volunteer time, both at Kendal and in the greater community. There are many opportunities to volunteer – something for everyone. If Oberlin, Ohio is a mecca of cultural treasures like the Apollo Theatre and Oberlin Conservatory of Music, then Kendal at Oberlin is a mecca of artists. Resident artists are creating new masterpieces or practicing performances to be showcased on the Kendal at Oberlin campus and the greater Oberlin community every day. And those who do not create art and music are happy to enjoy the beautiful art in the galleries and nearby Allen Memorial Art Museum, or take in a concert on the Oberlin College campus. When residents aren’t moving about helping others, they’re focusing their movement on staying fit. Kendal at Oberlin offers its residents a variety of fitness opportunities. How about learning to play table tennis? Tables are set up in the auditorium several times each week for lessons and open play. Interested in tap dance? Sign up for a dance exploration class in the fitness center. And people continue to participate in athletic activity beyond Kendal, including cycling on nearby bike paths and hiking in the beautiful parks of northeast Ohio. One resident even medaled in volleyball in the 2013 National Senior Games! 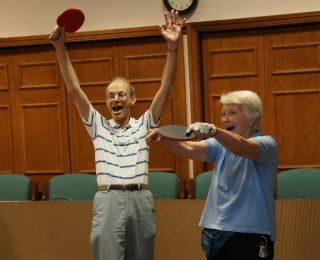 So you see, relocating to a vibrant retirement community like Kendal at Oberlin really can be the next great step in your active and independent life.